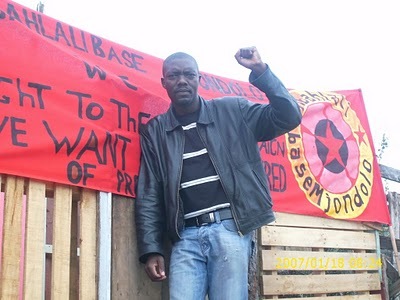 Join Mzonke Poni, Chairperson of Abahlali baseMjondolo Western Cape, to hear more about this inspirational South African movement of shack dwellers. Come for an evening of discussion and debate on activism, movement building, community organising and techniques of occupying and resisting. Speakers will also include activists from the Traveller Solidarity Network and Occupy London. Space is limited to only 30 people so please turn up promptly to avoid being denied entry!